When I was growing up, I read a lot. The vast majority of books I read were fiction about girls. 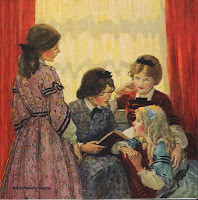 One thing that seemed a little unrealistic to me about the stories I read were the friendships. The main character usually had two to three "best friends" and in my experience, more than two girls hanging around together at a time was a recipe for disaster. I got older and things got easier and I found that I had my own trio. 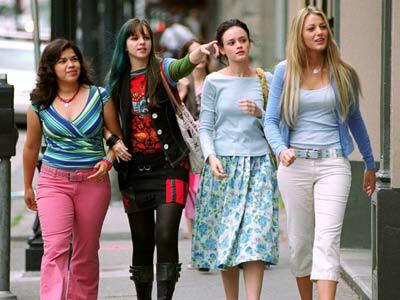 Sometimes we tried to see ourselves in fictional friends of ours, but it was always a bit troublesome to say that each one of us matched up perfectly with another fictional character. Somehow it seemed that we each had a little bit of each character in us. This is when I began to identify the "Four Female Friends" plot device. Claudia Joy, Denise, Roxy, Pamela. 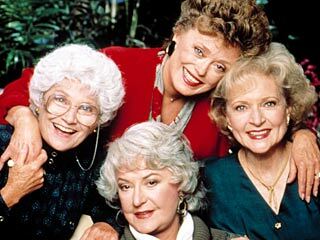 *In the Golden Girls example, Dorothy and Sophia occasionally switch roles and the actual mom becomes "Team Mom". I think the reason this works is because each woman is an extreme of personality, except for the Team Mom role. Personalities this extreme rarely exist in real life, which is why in real-world relationships each individual has elements of all the characters. You can even see this theme at work somewhat in the classic Little Women with Meg, Beth, Amy, and Jo (in the same order as previously presented). The use of four females isn't essential to this idea--the point is more the use of extremes. Take for instance the wildly popular TV show Friends. 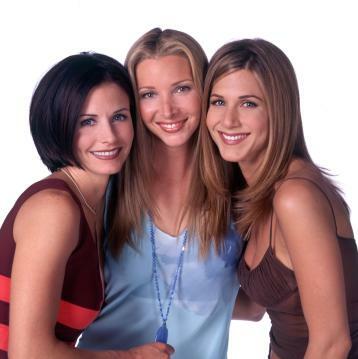 With the women you have an extreme personality in Monica and Phoebe. Rachel sort of balances that out. When you look at the entire group, many viewers realized that they wouldn't be interested in just one of the characters on a show, but as a group, the personalities made something interested to watch.